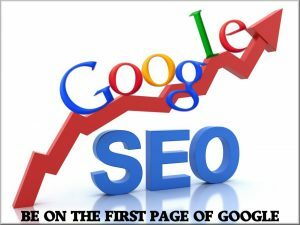 First page rankings require proper search engine optimization (SEO). If you are familiar with the internet, you probably have come across this phrase more than once. But have you ever thought what is really meant by search engine optimization? Well, this is a strategy that local business owners and affiliates use on the internet to gain better rankings s for their pages. It’s a constant fight to get a first page ranking for your site. You need to be on page one whenever a searcher types in words that relate to your industry. Why are First Page Rankings Important? Understanding the term SEO will obviously lead you to this next question. So why do people obsess so much about search engine optimization (SEO) and ranking on the first page? Well, thanks to the ever-increasing popularity of the internet and it becoming the core platform for everything and anything. People go online, type in a few words about the products they are searching. Once the searcher clicks ‘search’ a million pages come popping up. In normal circumstances the searcher will simply click on one of the first ten websites, or search again. With that in mind, an affiliate or business owner will always need his or her pages to be ranking on the first page or in the top ten to get as much traffic as possible. That’s quite a fight for the novice to get their website to appear on the top ten for certain select keywords. There are basically a million pages on the internet that will have something to do with a certain keyword. This makes it a tough job to get your website ranking first page amongst the top ten. In order to optimize your web site properly, you must build it in such a way that it will surpass the other websites that have something to do with your industry. You must know and master the algorithm search engines use to decide which websites to list on the first page of the results. That way you know when and how to optimize your website for the search engines and get the most out of it. Today you can find a load of information on search engine optimization online. It comes in the form of articles, guidance, and tutorials. While most of it can be seen as very important in getting you on the right track, a number of these are just filled with too much misinformation. They offer many old stale methods and tactics to obtain the best rankings. You will end up not knowing how to really go about SEO to get the best rankings for your site. This in turn will have your site falling to the deeper pages of the results. Or worse, your site gets the ban hammer and does not show for keywords relating to your industry. To a certain extent, many of the people who come up with information and tutorials are bogus. These sites have nothing to do with first page rankings. They simply want to sell SEO products, tools, and software. They use their sales tactics to say that search engine optimization something that is too difficult for you. Unless of course you buy their secret formula, specialty tools, products, and software. Well yes it is. All you need is a little help from the professionals here at Rankit. We can optimize your website properly so your site can get ranking first page. Just understand the tools and such you see online are meant to produce sales and not really help you. The people who truly know how to gain first page rankings would never sell such valuable knowledge. Think about that before you buy any bogus software that claims that it would help you with ranking first page.